Some 60 kilometres (37 miles) north of Nuremberg lies Bamberg, a small town known for its UNESCO-listed romantic Old Town, striking architecture and rich history. If you find yourself in the area, make sure to factor in a day trip – here are some ideas on how to spend 24 hours in this delightful spot. Kick off the day with a typically German breakfast at Caffèbar Kranen. On the menu are themed platters with sweet and savoury options, from croissants with jam and muesli, through to omelettes or bread rolls topped with cheese or sandwich meats. The café is conveniently located in Bamberg’s beautiful Old Town, itself an excellent starting point for a sightseeing tour. The winding cobble-stoned alleys of the medieval town centre are seamed with well-preserved half-timbered houses and take you past the major sights. 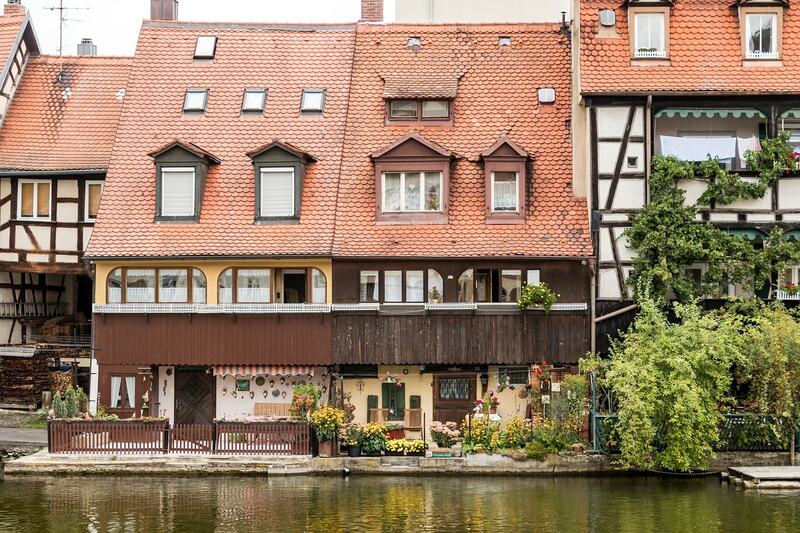 Take a right and follow the road for a few minutes until you reach the charming Little Venice district, where timber-framed cottages stand in rank and file along with the Regnitz east bank, providing the first of hundreds of postcard-ready photo opportunities. Head to Grüner Markt next and have a look at the St. Martin church before making your way back down to the riverside and towards one of the city’s highlights. 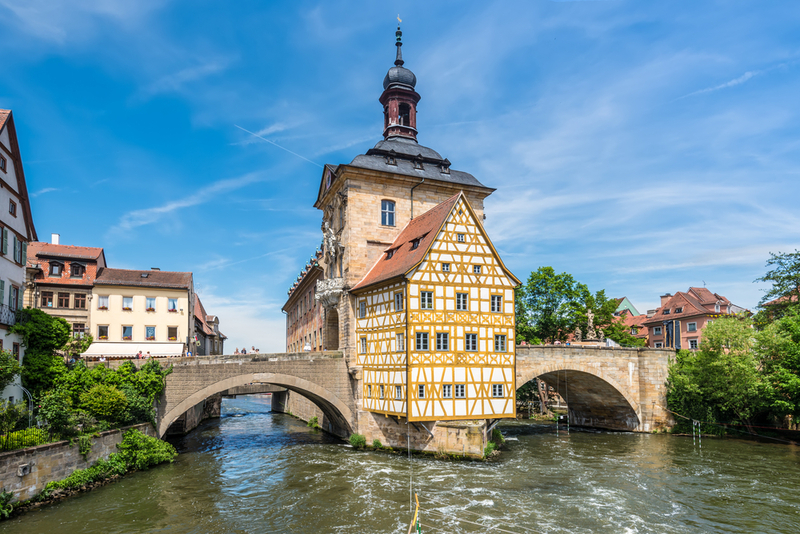 The Old Town Hall is Bamberg’s most significant landmark and dates back to the 1462 century. The historic building is set on an artificial island in the middle of the Regnitz river, and is decorated with detailed murals and frescoes. Cross over the Obere Brücke to get a closer look at the facade and through the gates. If you are interested, you can visit the museum inside which houses Europe’s most extensive porcelain collection, but make sure to head to Geyerwörthsteg for the best views of the building before you carry on with your tour. If you turn around, you can catch a glimpse of the Geyerswörth Palace before continuing towards the west side of the old town. A short walk brings you to the Domplatz which is framed by the Bamberg Cathedral, the medieval building complex Alte Hofhaltung and the New Residence. Heinrich II built the first cathedral here in 1004, which was reconstructed in the 13th century. Now the four spires of the Romanesque-Gothic imperial cathedral tower rise above the Old Town. Highlights inside include the tomb of Heinrich II and his wife, a true-to-size statue of the Bamberg Horseman and the Virgin Mary altar. Don’t miss out on a visit to the New Residence. 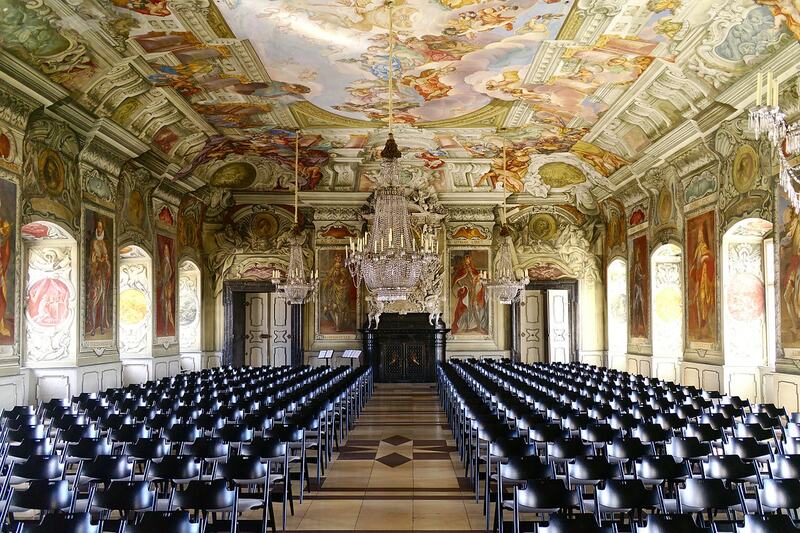 Until 1803 Bamberg’s bishops occupied the 40-odd lavishly decorated rooms. It’s important to know that the state apartments can only be visited as part of a guided tour, so make sure to inquire about availability in advance. The entrance to the Rose Garden is free of charge and has some great views over the city. Head up the Michelsberg hill, but before you step into abbey which sits atop, stop at the adjacent Ristorante da Francesco for lunch. The restaurant is known for its excellent Italian food and spectacular views over the entire city. The Michelsberg Abbey is a former Benedictine monastery that has been converted into a care home for the elderly. However, the rooms which are currently not used by the institution are open to the public, including the on-site Franconian brewery museum. Take a stroll around the vast ground before heading back to the town centre. 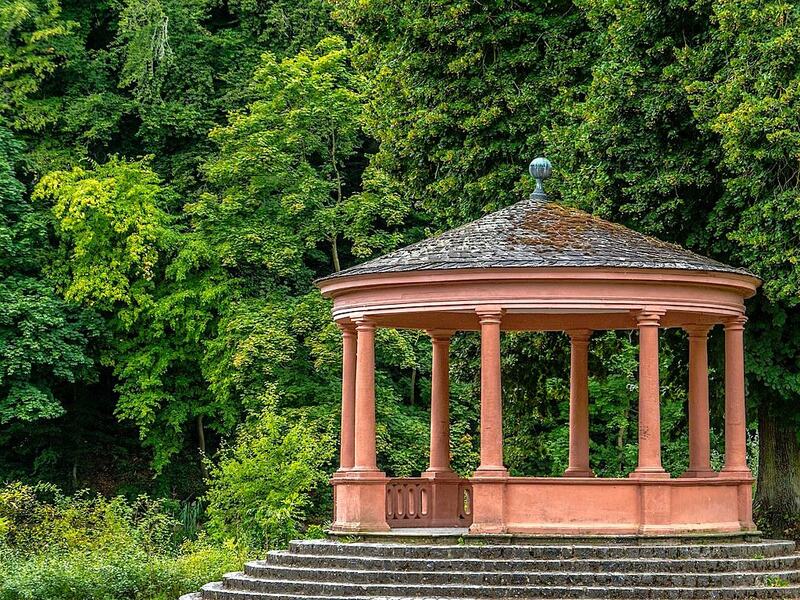 Depending on time, weather and your mood you can extend your stroll into the Hain park and the botanical gardens, join a culinary-themed guided tour or visit the Historical Museum which displays exhibits of the city’s past. To round off a jam-packed day of sightseeing, head to Zum Sternla, Bamberg’s oldest pub. You’ll find lots of sumptuous Franconian specialities on the menu which might pose a bit of a challenge to read, but the food is great and the in-house beer even better. Speaking of beer, the cold brew is part of the city’s cultural heritage and best explored on a post-dinner tour of the best breweries and authentic beer cellars that are scattered across the city. Enjoy!